Prepared by Ethics Commission President Cecilia Gardner, the report focuses on social investment in and by the jewelry industry, looking at how it is proliferating through activism at the grassroots level. 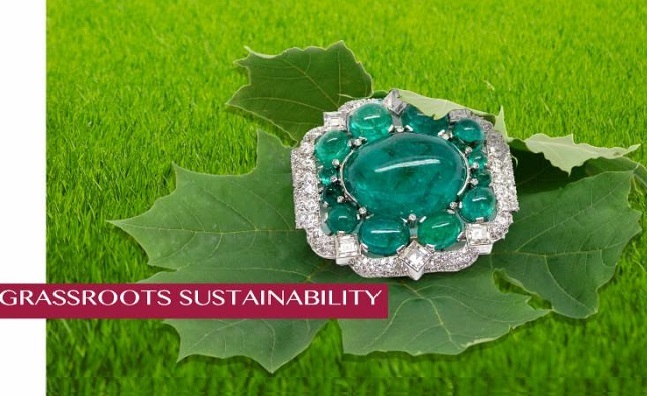 "The task of initiating proactive sustainability programs is a complicated one for the gem and jewelry business, where the overwhelming majority of players work in small and medium-sized enterprises (SMEs), with limited resources," Gardner wrote. "The handful of major corporations involved in the business, most often mining companies, have been active in this respect, and some for many decades....For SMEs, however, it is considerably more difficult to become involved, let alone initiate programs that may have a lasting effect on the lives of people and communities, particularly when they are located elsewhere geographically, and at other stages along the chain of distribution." Gardner notes that a feature of the past several years are voluntary and grassroots initiatives by interested individuals, companies and organizations in the jewelry sector. One of these is the Jewelry Industry Summit, where CIBJO is involved, and which is acting as an incubator for sustainability and CSR projects in a variety of industry-related fields, most related to responsible sourcing. Among the projects associated with the Jewelry Industry Summit is a golden rutilated quartz mine in Bahia, Brazil, which is being designed to serve the long-term social and economic needs of an adjacent village with a population of about 500 people; the Jewellery Development Index (JDI), which is now being examined by a team at the U.S. State Department, and will benchmark national jewelry and gemstone industries in terms of how they help or hinder economic and social development; an initiative in India to combat the blight of silicosis; and a program promoting mercury-free artisanal gold mining. "There are many opportunities for you to act now to improve and sustain our supply chain and benefit those who are your business partners. Those who work in every level of the supply chain make possible your success - without them, you cannot operate. Their health and success are essential to the health and success of the jewelry industry, and any actions taken to improve their lives will reverberate up and down our chain of supply," Gardner writes.